Jarod grew up loving the outdoors, and he followed his father’s footsteps into the forestry consulting profession in order to spend time outdoors as much as possible. After attaining his BS degree in Forestry at Louisiana Tech University, he went to work full time with his father’s forestry consulting firm. A couple of years later, he received his MBA in order to gain additional business knowledge. 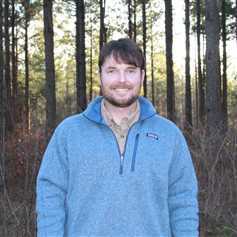 Having the opportunity to assist landowners across North Louisiana in the management and enhancement of their timber resources has been personally rewarding to Jarod. "I’ve been very blessed being able to own timberland myself, and look forward to assisting others attain that dream." Jarod lives in Ruston with his wife, Heather, and their children, Tucker, Rhett, and Savannah.